In an interim progress report on the September 2012 attack on the U.S. consulate in Benghazi, Libya, five House committees call former Secretary of State Hillary Clinton and other high-ranking State Department officials responsible for reducing security levels at the consulate, contradicting the testimony Clinton gave before Congress. The interim report -- released by Republicans on the House Armed Services, Judiciary, Foreign Affairs, Intelligence and Oversight and Government Reform Committees -- reaches three major conclusions. First, the committees' Republicans conclude that Clinton approved security reductions at the consulate, pointing to evidence such as an April 2012 State Department cable bearing her signature. The cable was a formal request from then-U.S. Ambassador to Libya Gene Cretz for more security. 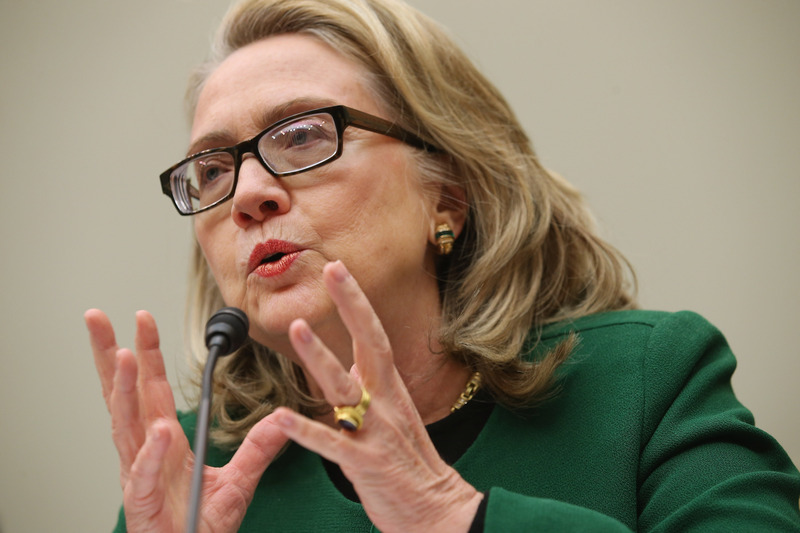 In her testimony before Congress in January, Clinton said, "With specific security requests they didn't come to me. I had no knowledge of them." The interim report also charges that White House and senior State Department officials attempted to protect the State Department from criticism by altering accurate talking points drafted by the intelligence community. For instance, the report says that, after a Sept. 15, 2012 meeting, administration officials removed references to the likely participation of Islamic extremists. The report also contradicts administration claims that the talking points were changed to protect classified information. None of the email exchanges reviewed ever mentioned a concern about classified information, according to the report. The five committees have been investigating the Benghazi attack for months and continue to probe into unanswered questions. As CBS News' Sharyl Attkisson has reported, a number of whistleblowers relevant to the State Department, CIA and Defense Department are now speaking to Congress. The Obama administration responded to the report by suggesting it hasn't revealed any new information. "The report just released by the House Republican Conference on Benghazi appears to raise questions that have already been asked and answered in great detail by the Administration," National Security Council spokeswoman Caitlin Hayden said in a statement. "We have taken extraordinary steps to work with five different committees in Congress in investigating what happened before, during, and after the Benghazi attacks." Hayden noted specifically that the administration gave Congress access to ten thousand pages of documents and that senior agency officials have briefed congressmen publicly and privately on the matter. She also noted the State Department's Accountability Review Board, an independent body, called the interagency response to the attack "timely and appropriate."